Gallery Wraps at Alkit are individually hand-crafted works of art. We print on Satin Canvas substrate for optimal color vibrancy and stretch-ability. Each print is then crafted by one of our skilled artisans and mounted perfectly on wood frames. We apply a black paper backing to the rear of the print, and affix mounting hardware. Frame depth is 1.5". These archival prints will last a lifetime. We provide guide-marks within AlkitROES to visualize the precise areas of the print that will be wrapped. First we print your image on our professional Kodak Endura Lustre, Kodak Metallic, Kodak Endura Canvas or Epson Exhibition Canvas paper. We then wrap the resulting print on Gatorboard with a soft foam layer between the board and print. 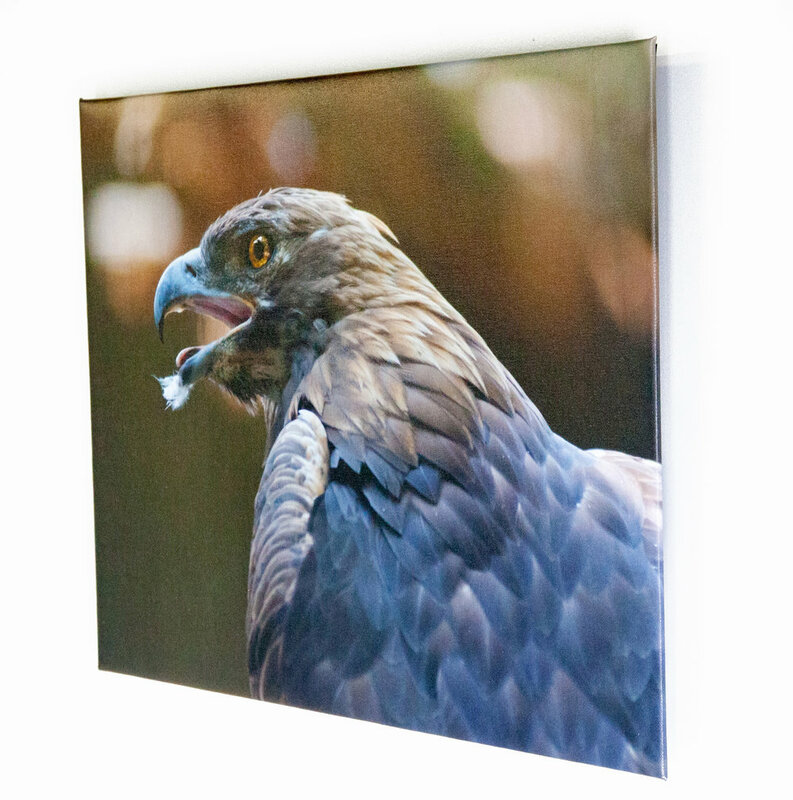 For an impressive effect, we offer an optional 3/4" Mounting Block for $5.99 which allows the image to hang with the appearance of floating off the wall. We also offer Kodak Photographic Canvas Prints. Click here for more information!